There are also many free and inexpensive promotional services available so you can spread the word about your books. If you are a self-published author, there are many facets to what you need to do to succeed, so make sure you are equipped with the best self-publishing tools and services you require. Check back from time to time as we update this page with more useful self-publishing tools and services. Find keywords that readers actually type into Amazon search. Unlike any other software, KDP Rocket gives you real-time data that shows you exactly what Amazon book buyers type into Amazon, as well as how many people search for these words every month. You can also access sales data for competitive titles and search for high performing book keywords and categories. 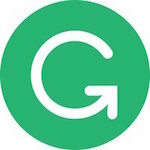 Grammarly is a writing-enhancement platform developed by Grammarly, Inc., and launched in 2009. Grammarly’s proofreading and plagiarism-detection resources check for a writer’s adherence to more than 250 grammar rules. 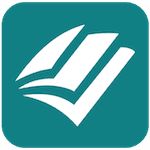 Calibre is a free and open source e-book library management application developed by users of e-books for users of e-books. 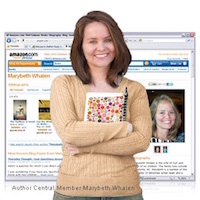 It is an absolutely indispensable free tool for ebook authors. It can convert Word .docx files into .ebub, .mobi plus a long list of other popular ebook formats. It can also be used to create an ebook library. Free Ebook Cover Creator helps gain maximum interest and impact when selling ebooks. It is important that your product looks valuable. Making your ebook look like a tangible object goes a long way in convincing casual book browsers to become customers. There is a range of free models available. Without a doubt, the most popular and effective blogging platform for self-publishers. It allows seamless social media integration with 1,000s of plugins and applications available for book marketing and author promotion. While there are many free blogging platforms, a stand-alone WordPress offers many more ways to attract traffic and sales. Canva’s book cover maker makes book covers amazingly simple to design – even for non-designers. Create a professional book cover for free. You’ve done the hard work and created an amazing book. Make sure it sells out by creating an awesome cover design! 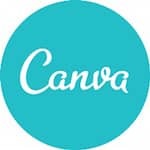 Canva’s free book cover maker is ridiculously easy to use – even for the novice or not-so-tech-savvy writer. The Ginger Grammar Checker helps you write better English and efficiently corrects texts. Based on the context of complete sentences, Ginger Grammar Checker uses patent-pending technology to correct grammar mistakes, spelling mistakes and misused words, with unmatched accuracy. 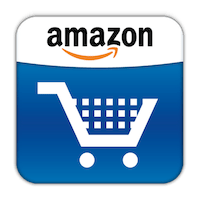 Amazon Author Central is a must have as from it you can edit your book data, book descriptions, add editorial reviews and much more. If you sell books or ebooks on Amazon, it’s an essential tool in making your Amazon book pages stand out from the crowd, especially if you have a little HTML skill. While not really essential, Amazon Associates is a great way to make a little more on your books by way of affiliate commissions. But the best part is that you can also earn commissions on other items people may buy on Amazon. If you design your own book covers, never use free images, as they have probably been used by other people many, many times. Fotalia is not free, but it is inexpensive and they provide literally millions of top quality images suitable for book covers. The search facility is easy to use, and especially for finding portrait orientation images, which suit books. While it might sound too obvious, every self-publisher of Amazon Kindle ebooks really must have a Kindle. 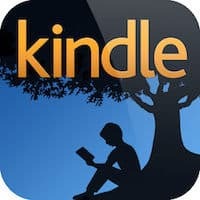 Trusting Kindle apps on other devices will not accurately display what your Kindle readers are going to see when they read your ebooks. Even the cheapest ad-supported model will do the job perfectly well. A very quick and easy way to check your Kindle ebook sales rank, as well as much more detailed data. If you have more than a couple of titles, this is a must-have tool, as it is so much quicker than checking your books one at a time. You can also set it up for different authors, so it is a great tool if you publish under different pen names. Easy, useful and free. While not a self-publishing tool as such, Twitter has become so BIG for self-publishers that it needs some taming. Manage Flitter is the easiest way to clean out and manage your Twitter account. If you have a Twitter account stuck because you have hit the dreaded 2,000 limit, then you really need this, to get your account moving again. Of course, you should always back up your files, and especially your WIP manuscript. But we can sometimes forget. Dropbox is the easiest way to make sure you have a synced backup at all times, and if disaster strikes, such as a hard drive crash, you’re safe. A free account is 2Gb, which is ample for a writer. Choosing keywords for your books and ebooks when publishing on Amazon can be a challenge. But do NOT pay for programmes or scams promising the world. Amazon has a very easy and useful list of keywords you can use for all genres, which will increase your book’s search discovery. A word processor and project management tool that stays with you from that first, unformed idea all the way through to the final draft. Outline and structure your ideas, take notes, view research alongside your writing and compose the constituent pieces of your text in isolation or in context. Scrivener won’t tell you how to write—it just makes all the tools you have scattered around your desk available in one application. Book Sprout is like a mailing list on steroids that was built from the ground up with authors in mind. It helps authors increase sales by reaching 100% of their followers via mobile notifications on tablets/phones/kindles whenever they release a new book or run a deal. It also gives access to data that’s specific to authors and critical in making big decisions (such as whether or not to participate in KDP Select). We designed the Reedsy Book Editor so authors can just write their book without worrying about formatting. There is no learning curve, no “instructions manual”, you just write and the Editor takes care of the rest, automatically. 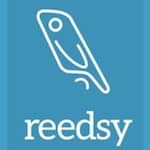 The Reedsy Book Editor is fully compliant with most ebook and POD retailer requirements. Are you tracking book sales, rankings, and reviews from multiple marketplaces? Bookcore can track everything for you and give you detailed analytics so you can focus more on making books and fewer reports. More tools and services coming very soon!